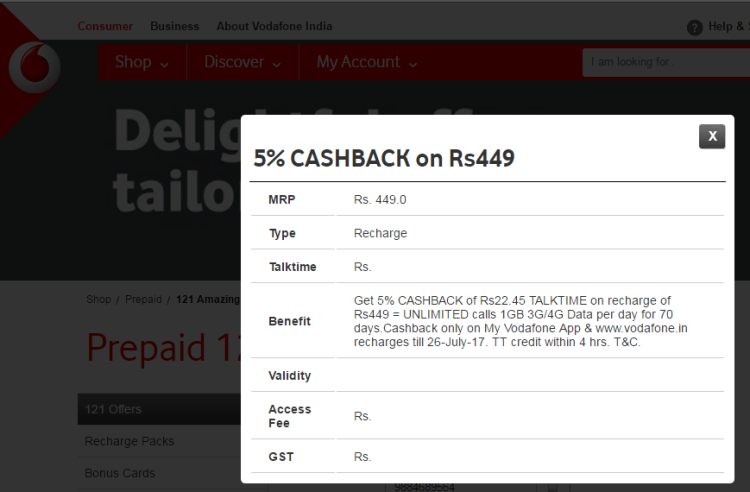 In line with Airtel & Idea who have already launched 84 days First Recharge Coupons, Vodafone India has today launched a new Vodafone 449 Plan offering Unlimited Local & STD Calls & 1GB data per day for 84 days. We had already reported that about the launch of 84 days FRC by Airtel and Idea too launched FRC 395 offering similar offer and now Vodafone too has joined the race to attract more & more new customers to its network. Lets talk in details about the Plan now – The new FRC is available only for customers joining Vodafone network and also to customers who MNP to Vodafone from any other operator. The validity of the FRC is 84 days and you would get Unlimited Local & STD Calls & 1GB data per day for 84 days. 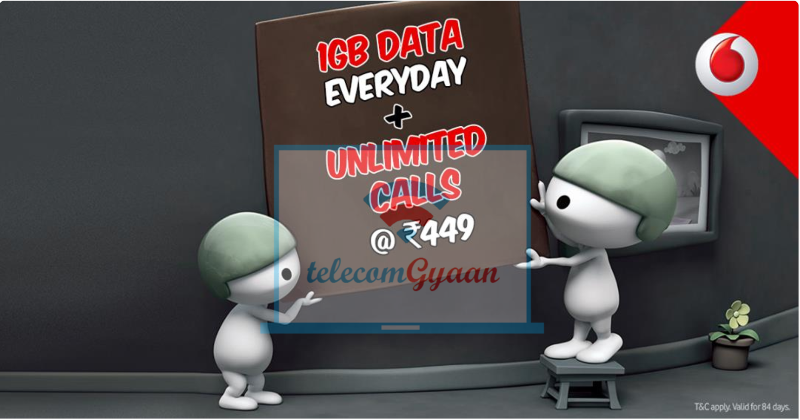 The Unlimited Data & Calling offer is available only to users on 4G handsets only. Vodafone has started offering its existing customers Unlimited Calls & Data in Rs. 448-449 for 70 days. However, there are some lucky customers as well who are getting 84 days Unlimited Plan from Vodafone for Rs. 395 – Rs. 401. You can check Vodafone 399 Plan for 84 days on this page. You can get in touch with nearest Vodafone retailer or else Visit Vodafone Store or Mini Store to get it. You can also visit Vodafone website to know more.